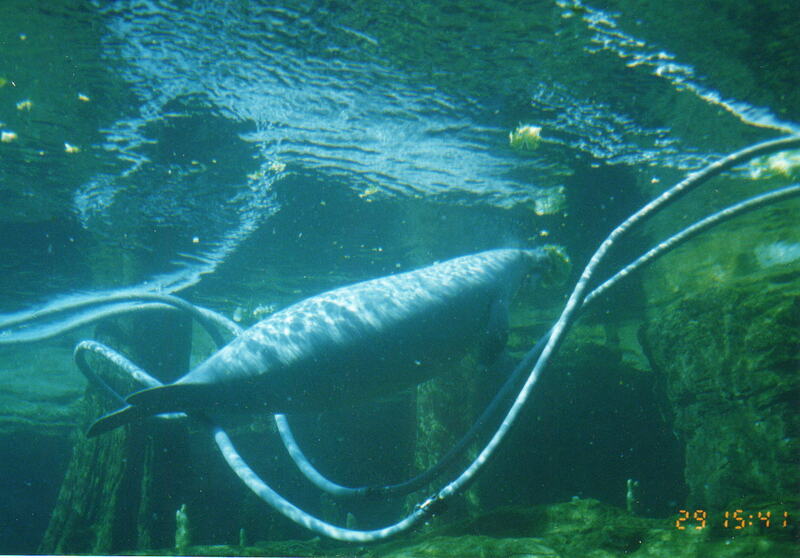 West Indian Manatees are aquatic herbivores, that feed throughout the entire water column including the surface. They are very flexible feeders. The West Indian manatee has a downward-sloping snout, which allows it to feed on plants near the ground. They spend roughly five to eight hours a day grazing. They have extremely large appetites which enables them to eat up to 11 percent of their body weight. 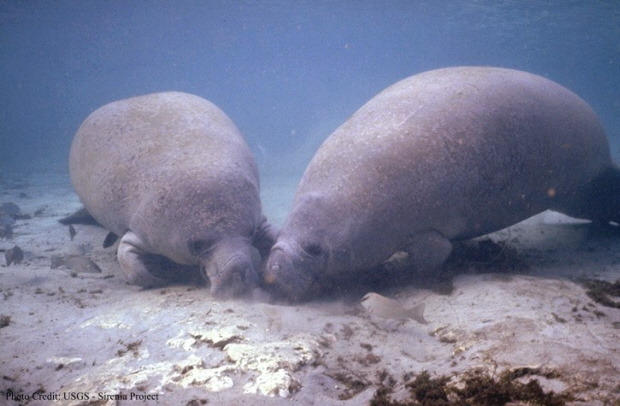 Although West Indian Manatee are herbivores they are not obligate herbivores and will consume fish and invertebrates in some areas if available. The typical diet consists of a variety of marine and freshwater vascular plants and algae. As well as terrestrial plants they may be able to reach on the shoreline. The West Indian manatee exhibits many adaptations for aquatic herbivory. Their large body size, large dexterous forelimbs, used for manipulating food, walking along the bottom, and large prehensile lips mounted with bristles. The teeth are very unique. They have molars that continually progress forward. The worn out teeth fall out of the anterior row and new teeth form throughout life. Their teeth are adapted for their abrasive diet. The West Indian manatee typically will feed at night. They also must surface every 15-20 minutes to breathe. Although West Indian Manatees occupy estuarine and marine habitats, they require freshwater to drink. 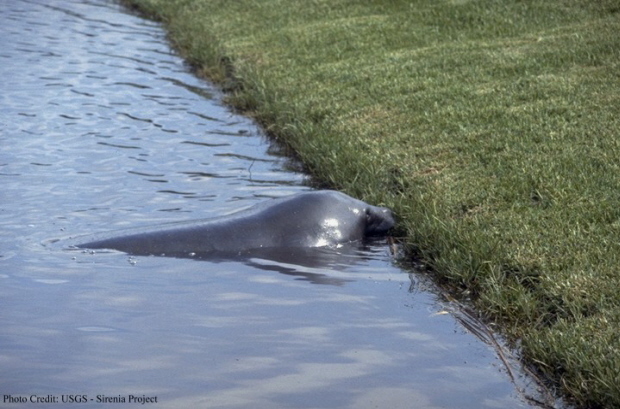 In estuarine and marine habitats manatees are often seen drinking from freshwater sources, such as industrial or sewage outfalls, and water hoses.